CSAC / IKF Judges: Jim VanOver, Luis Cobian & Alternating Referees. CSAC Locker Room Inspectors: Rogelio Chapa, Danny Cruz, Carlos Moreno, Sa'Cory Dillard, Roy Farhi & David Soliven. Event: Dr. Bear Gamboa & Dr. Edmund Ayoub. Michael Ray was issued a 30 day no training and 45 day no competition Medical Suspension until March 24, 2017 by Dr. Edmund Ayoub due to TKO. (**) Ismail Zizi fight record was reported to the IKF from the matchmaker as 1-1, not 3-1. Ismail Zizi or his trainer Oscar Gallegos-Jhanex face upcoming Suspensions for false record reporting of 1-1 during matchmaking. Judge Jim VanOver: 10-9 Zizi. Judge Luis Cobian: 10-9 Zizi. Judge: Vichai Sukitpol: 10-9 Zizi. Judge Jim VanOver: 29-28 Diaz. Judge Luis Cobian: 29-28 Cardona. Judge: Vichai Supkitpol: 29-28 Cardona. (**) Alexis Cardona never reported his MMA fight Experience prior to this bout. Alexis Cardona or his trainer Jean Carrillo face upcoming Suspensions for failure to disclose Cardona's full fight experience during matchmaking. Judge Jim VanOver: 39-38 Rocha. Judge Luis Cobian: 39-38 Rocha. Judge: Dan Stell: 38-38 Draw. Jair Rocha failed to list his MMA and Boxing experience on his IKF CA License Form. Jair Rocha faces upcoming Suspension for failure to report his full fight experience. Judge Jim VanOver: 29-28 Belongoy. Judge Luis Cobian: 29-28 Belongoy. Judge: Dan Stell: 29-28 Salazar. (**) Edward Perez III never reported his MMA fight Experience prior to this bout. Edward Perez III or his trainer Bryon Schnell face upcoming Suspensions for failure to disclose Perez's full fight experience during matchmaking. IKF Inspectors: Chris Fields, Gene Fields & Victor Zaragoza. 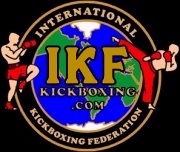 BOTH FIGHTERS NEEDS TO GET IKF LICENSED: CLICK HERE. (**) Angel Salvador needs to provide proof of his additional 2 bouts. Has only done an "Exhibition" bout on July 12th, 2015. (**) Jason Belangoy has never been asked to prove his record, will need to to fight without headgear or shin pads and do Full Rules. Last fought on May 16th, 2015. Eddie Perez NEEDS TO HAVE A FULL PHYSICAL. CAN BE DONE BY EVENT DOC AT WEIGH-INS FOR $40: CLICK HERE. Eddie Perez NEEDS TO GET IKF LICENSED: CLICK HERE. Kurban Kurbanov NEEDS TO SUBMIT AN IKF UPDATE FORM: CLICK HERE. (***) Ronnie Najaar (And Others) On Suspension for hosting Illegal/Smoker Events: Undisputed MMA in North Park, San Diego, California. February 2015, November 21, 2015, October 22, 2016 - CLICK HERE. NO HEADGEAR OR SHIN PADS ARE REQUIRED FOR THIS BOUT. Clifford Passmore NEEDS TO HAVE A FULL PHYSICAL. CAN BE DONE BY EVENT DOC AT WEIGH-INS FOR $40: CLICK HERE. Clifford Passmore NEEDS TO GET IKF LICENSED: CLICK HERE. Bruno Borges NEEDS TO SUBMIT AN IKF UPDATE FORM: CLICK HERE. Susan Wallace NEEDS TO GET IKF LICENSED: CLICK HERE. Meggan Tamondong NEEDS TO SUBMIT AN IKF UPDATE FORM: CLICK HERE. Jair Rocha has a PRO MMA Bout listed on his MMA database but IKF confirmed with the Hawaii Boxing Commission that it was an AMATEUR bout. Paola Lopez NEEDS TO HAVE A FULL PHYSICAL. CAN BE DONE BY EVENT DOC AT WEIGH-INS FOR $40: CLICK HERE. Paola Lopez NEEDS TO GET IKF LICENSED: CLICK HERE. Alyshia Madison NEEDS TO SUBMIT AN IKF UPDATE FORM: CLICK HERE. Michael Ray NEEDS TO HAVE A FULL PHYSICAL. CAN BE DONE BY EVENT DOC AT WEIGH-INS FOR $40: CLICK HERE. Michael Ray NEEDS TO GET IKF LICENSED: CLICK HERE. Ismail Zizi NEEDS TO SUBMIT AN IKF UPDATE FORM: CLICK HERE.